USS Drum, and a host of military aircraft. 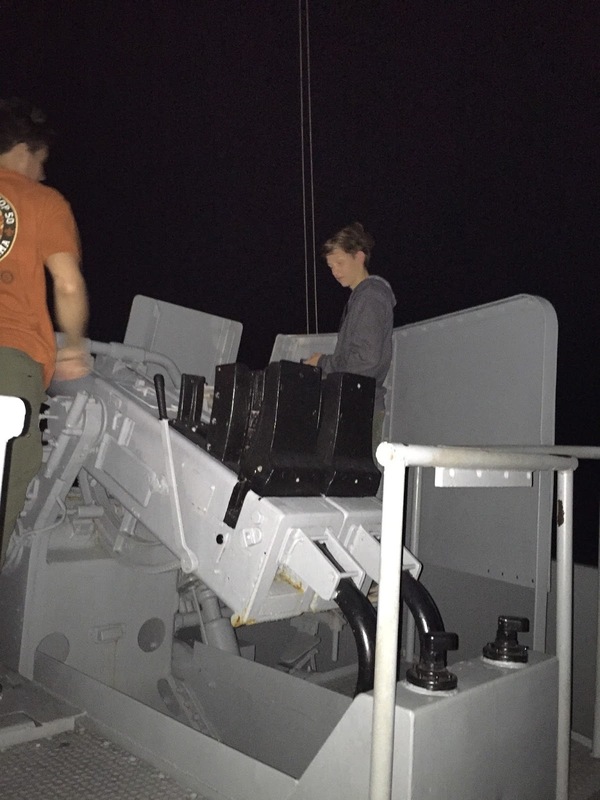 Troop 50 took to the high seas, or at least a simulation of it, onboard the battleship USS Alabama for our November campout. In addition to learning about shipboard life during the Second World War, the Scouts traveled further back in history to explore life in ancient Egypt at the King Tut exhibit, learned about the French settlement at Fort Condé, and viewed a microcosm of Mobile's history at the History Museum of Mobile. The trip was a good chance to understand a diverse group of subjects in an interesting way. The troop departed Auburn on Saturday morning after meeting in TigerTown. Downtown Auburn was inundated with the usual frenzy of football fans in preparation for the game against the University of Idaho. The trip to Mobile was uneventful and we arrived outside the history museum in time for lunch. Scouts partook of a sandwich lunch prepared in the parking lot prior to our trip back in time. of the King Tut exhibit. Thanks to the advance planning of Mrs. Cottier, we were able to have a guided tour of the King Tut exhibit. The artifacts are reproductions of the original treasures found in the tomb of the ancient Egyptian, New Kingdom Pharaoh, Tutankhamun after its discovery in 1922. The actual artifacts are over 3,300 years old and rarely leave Egypt. The traveling exhibit of reproductions, the work of the International Museum Institute of New York, is on display in Mobile through April 2016. The exhibit and accompanying photos of the tomb discovery, formed a fascinating display of the wealth and power of an ancient civilization. Following our viewing of the King Tut display, the boys explored another part of the museum that traced the history of Mobile from its Native American culture through the present. Our next stop was across the street from the museum at Fort Condé. The French established the fort at the present site in 1711 to protect the new city from attacks by the British and Spanish. By 1820, when the British were in possession of the city, they demolished most of the fort while building new roads and structures in downtown. The fort was recreated in 4/5 scale as part of the U.S. Bicentennial celebrations in 1976. The Scouts explored all parts of the fort, especially the cannons that lined the parapets. 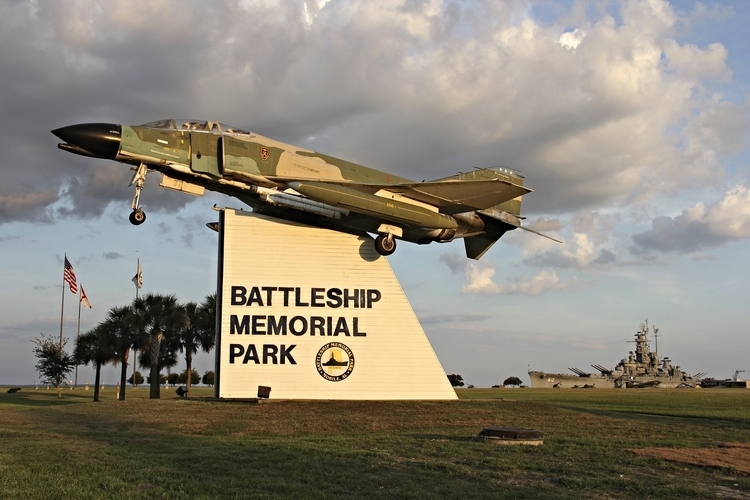 Next, it was on to Battleship Memorial Park, located at the head of Mobile Bay. The park was established in 1965 after the state raised the money to purchase the Alabama from the U.S. Navy and have the ship towed to Mobile. The ship has been home to Scout overnight adventures for many years. We reported in at the park about 3:30 in the afternoon and, after some delay, were led aboard the ship with our gear in hand. We settled our packs into the berthing areas below deck and were soon off to explore the aviation hanger and the submarine, USS Drum. For dinner, the usual option for visiting troops and packs is to either order pizza or visit a local restaurant. Since we were not engaging in any other Scout skill activities on this outing, the decision was made to have the boys cook with their patrols. The challenge, since we were not hauling the troop trailer, was to decide in advance what could be prepared with a limited amount of gear. Both patrols opted for the use of a single stove with a few pots and utensils. One patrol cooked spaghetti while the other fell back on the tried and true meal of hot dogs. The adults went with a one (albeit large) pot meal, preparing a low country boil with corn, potatoes, smoked sausage, and shrimp. Our setup in the picnic area of the park proved a little challenging with the cool and steady breeze coming off the bay but all were able to eat a fulfilling meal, even as a drizzle of rain began to fall. Once back aboard ship, the boys were given the freedom to explore the battleship on their own using the buddy system. The ship has several marked tours that can be followed as well as a scavenger hunt designed for visiting Scouts. Both leaders and Scouts were soon climbing ladders, squeezing through hatches, and peering into various cabins and turrets as we moved both high above and well below the main deck of the ship. By 10:00 pm, all were back in the berthing area preparing for a night in the multi-tier bunks. Unfortunately, Scouts are usually not as ready for sleep as the adults. Getting some of them to quietly settle down took much effort. 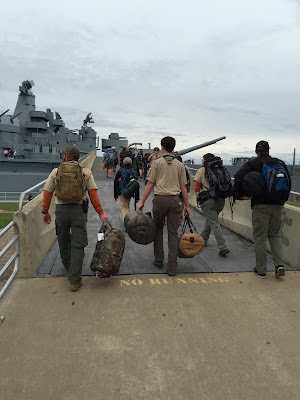 Following a mostly, restful night, reveille came at 7:00 am. After packing up our gear and trekking up to the main deck, we were surprised to find the temperature had dropped into the upper 30s, accompanied by a stiff wind blowing in from the water. Back in the parking lot, the Scouts made quick work of several boxes of Pop Tarts (although surprisingly, they were not as interested in the apples). A trip through the gift shop capped off the morning before we loaded into the vehicles for the trip back to Auburn. On Monday evening, the members of the PLC gave the trip high marks. They enjoyed the numerous activities planned for the trip, although the battleship was easily the most popular site. They also praised the food and how easily Saturday's dinner came together. As always, the youth leaders recognized that there were some aspects of the weekend that could have been improved. Some of these issues will be addressed at the next troop meeting. It was also noted that Mobile has a number of interesting opportunities for camping and other Scout activities. These are ideas that can be floated at the next annual planning conference. 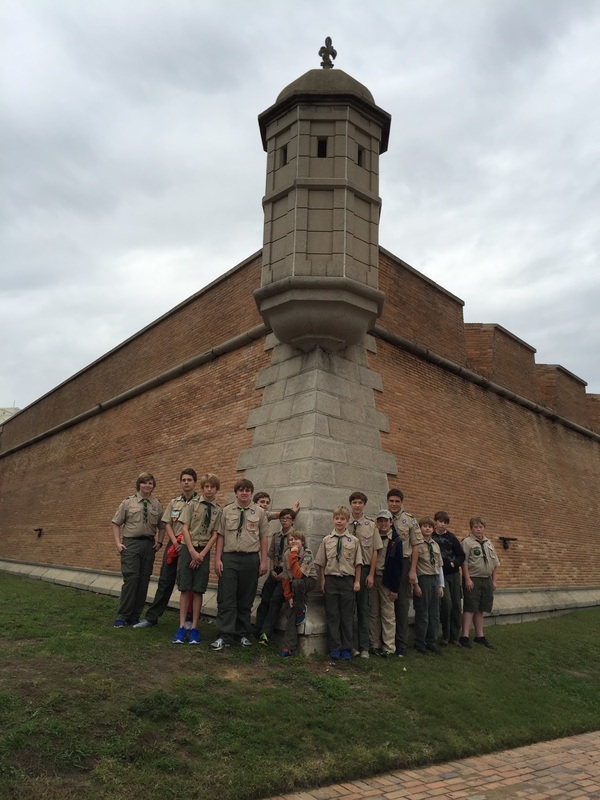 Many of the photos in our online photo gallery were taken by the new troop historian, Jason. We hope to see more of his work in documenting our various events and perhaps a blog post or two from a Scout perspective.